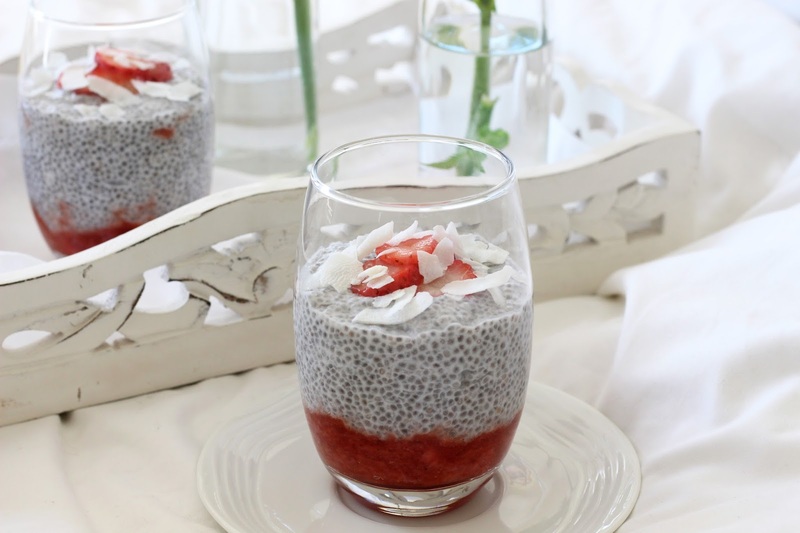 I decided it was finally time that I made my own version of a chia pudding. I was in the mood for something with strawberries, so my recipe is made with a strawberry and a honey jam of sorts. 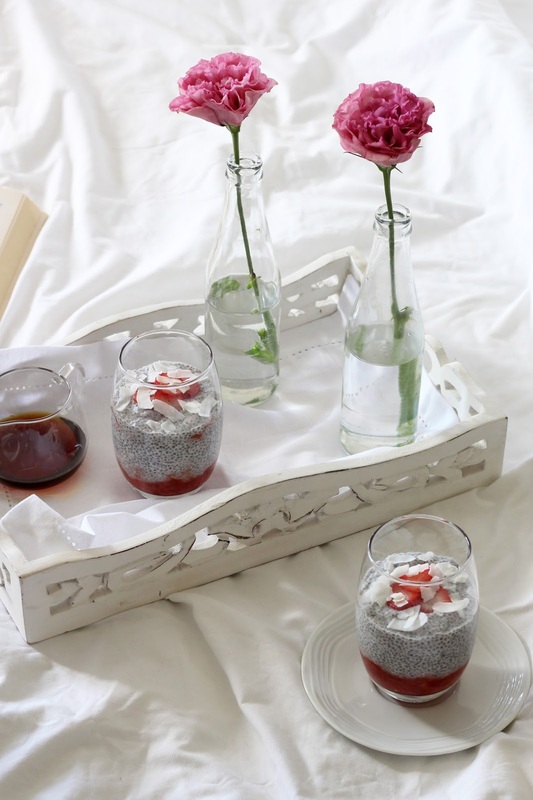 Chia pudding can be eaten for dessert or if you want to shake things up, eat it for breakfast. The best part? Totally healthy and full of goodies. 1. Place the strawberries, honey, water and lemon in a saucepan, heat to a simmer and allow the water to reduce. When the strawberries are soft its ready. 2. Remove the strawberry jam from the stove and allow to cool. Spoon the mixture into 2 glasses. 3. 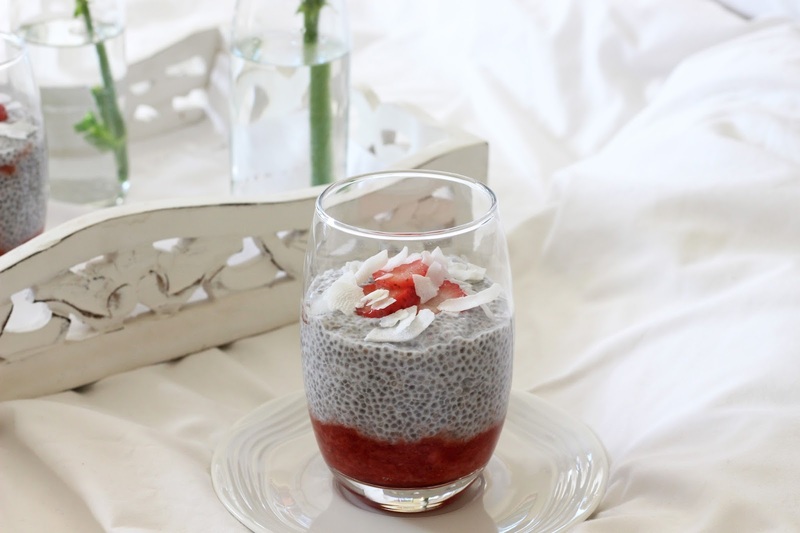 Combine the chia seeds and coconut milk in a jug. The chia seeds with start forming a gel. Keep stirring to prevent the pudding to prevent it from getting to thick. Lastly add the vanilla extract and stir well again. 4. 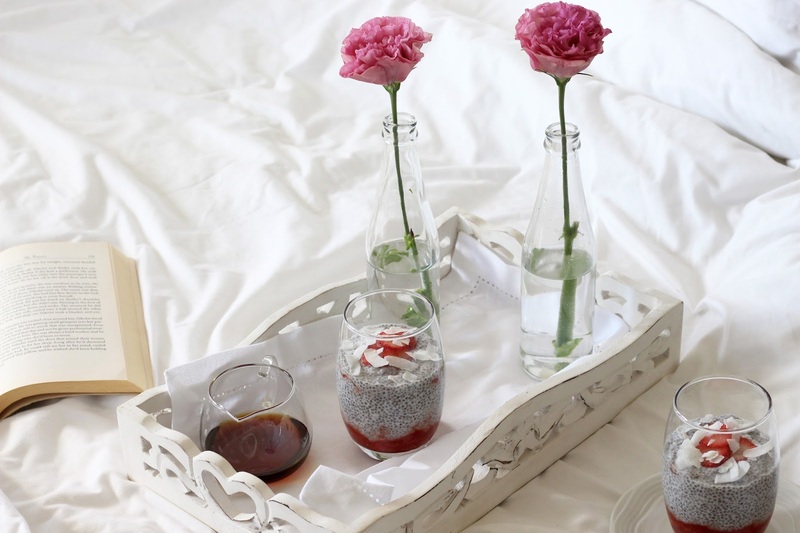 Pour the chia gel over the strawberry jam. Let it sit in the fridge for awhile, before serving with coconut shavings and sliced strawberries. Drizzle with honey or maple syrup.